About once a week, I work from home. And I HATE it. I didn’t like being a stay-at-home dad and I don’t like working from home. It’s not my forte, and that has nothing to do with my gender. It has more to do with my kids. Mom and Buried has a lot of doctor’s appointments. For issues both big – like her multiple sclerosis – and small – like when she nearly cut her own finger off last summer. Thanks to my awesome boss, I’m able to work from home once in a while – like today! – in order to accommodate these appointments, which my wife usually tries to double and triple-up on so as to get them done in the same day. My kids aren’t quite as helpful. I didn’t much like being home with the kids even when I wasn’t actually working from home and was just parenting them. (I know, I know, staying at home with the kids is hard work in and of itself. Chill; that’s the entire point of this post!) When Detective Munch was younger, I was a stay-at-home dad for about two years. It wasn’t my favorite. It’s hard work entertaining a two-year-old, especially if you aren’t keen on planting him in front of the TV for six hours. 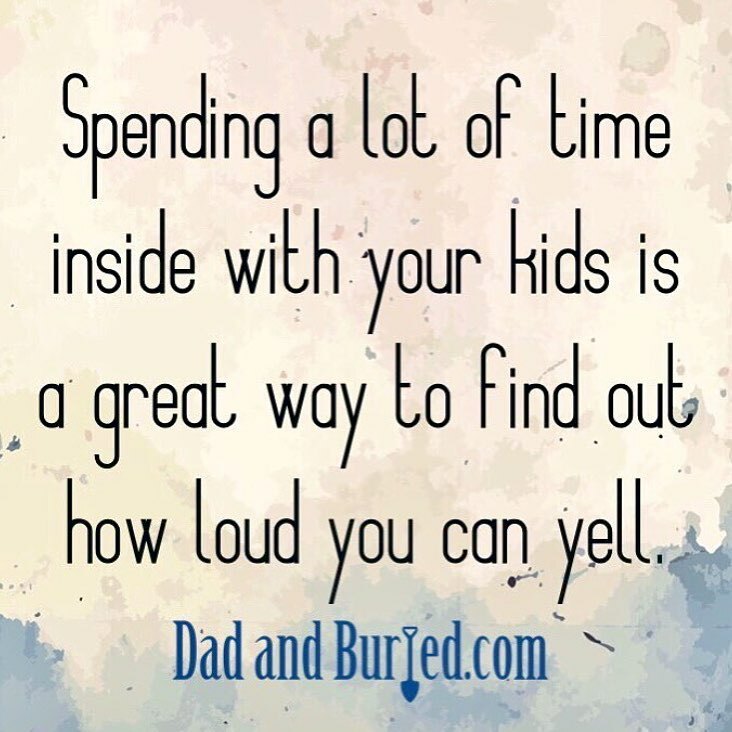 And parenting is just the tip of the iceberg; any stay-at-home mom or dad knows that taking care of and entertaining your kids is only half of what’s expected of you. 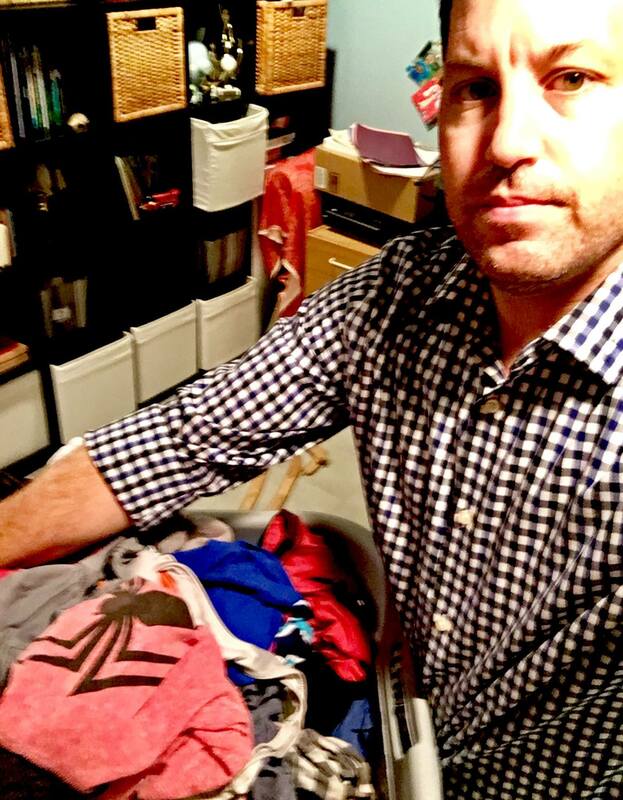 You’re also expected to clean and clean & fold laundry and cook dinner and run errands and fold fitted sheets somehow AND you’re expected to do it all so seamlessly that when your spouse gets home they don’t even realize how much blood, sweat, and tears – oh my god, the tears – went into it. I’m not good at any of that stuff. I’m not a good planner, I’m not a good packer, I’m not a good cleaner, I’m not a good grocery shopper. I’m just not very good at most domestic responsibilities. Don’t get me wrong, I try to be a good husband so I definitely DO all of that stuff, I just don’t do it anywhere near as well as my wife does. And if I needed a reminder, both of how inadequate I am and how amazing my wife is, working from home the other day did the job. At the end of a rainy day spent entertaining my second grader and preventing my toddler from killing himself while simultaneously attempting to get my work done, do the laundry, and at the very least manage to not make the house MORE messy, Mom and Buried finally returned home, and not a minute too soon. Shortly after she arrived, we started cooking dinner together, and already at the end of my rope, I just about lost my mind. There we were, prepping chicken and boiling pasta while dealing with both kids underfoot, clinging to and darting between our legs, grabbing at and wielding every loose kitchen item they could find, all while blanketing the kitchen in an agonizing Wall of Sound. I was completely bewildered and overwhelmed. My wife, meanwhile, was nonplussed. She deals with this every day. She handles it every day. I know this – I KNEW this – but this long, hectic day helped reiterate it. So did the fact that she flat-out told me, “I’m better at this than you.” Which wasn’t super helpful! But she’s right. Again, before you get the wrong idea, this isn’t a gender thing. Not in the slightest. True parenting equality means roles aren’t restricted by gender. In our house they’re not, and I bet they’re not in yours either. It’s 2018! Mom and Buried and I don’t divide duties based on chromosomes, we both do what needs to be done, what we’re good at, and, when we’re lucky, we’re able to delegate those duties based on what we prefer to do. I prefer to go to the office and she prefers to be home with the kids – at least for now, while The Hammer is still so young. My wife and I have both been the working parent, we’ve both been the stay-at-home parent, and we’ve both attempted the balancing act that is working from home with kids around. She’s better at those last two than I am, but that’s not because she’s a woman. She’s better at them than I am for a million different reasons – she’s more patient, she’s more kind, she’s more willing to talk about Minecraft, etc. – but mostly it’s because she’s better at *everything* than I am! So if you’re out there wondering how your spouse manages to make what he or she does look easy when your attempts leave you curled up in the fetal position surrounded by empty bottles of booze, remember that unless you’re talking about playing tackle football or giving birth, it’s not gender that makes the difference. My wife is better at those things than I am because of *who* she is, not what she is. I’ve never assumed otherwise, and neither should you.